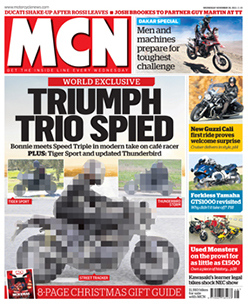 As some of you are undoubtedly aware, the weekly motorcycle newspaper Motorcycle News (MCN) has had a reputation for sensationalism and for embellishing facts to grab headlines. But something happened a few months ago, the presentation and format changed along with the editor. It was a good day for motorcycle journalism. A new focus on information, great articles and loads of technical goodies about bikes is now the substance of Motorcycle News. Even the intrepid reporter Steve Farrell, known for his antagonistic tabloid style of writing has turned his hand to churning out pretty decent articles. Though we couldn’t help but notice a small article on page 4 “Big Bikes escape EU ban on mods”, (Old habits die hard?) just under another rather interesting and informative short article about Electronic Aids and the launch of cornering ABS by Bosch in 2013. Moving swiftly on! In the latest copy of MCN, senior reporter Steve Farrell, writes about the new Category A2 bikes which will be on offer for the 19 year old riders restricted to 35kW or 47 bhp as of January 2013. Farrell gives the example of the Kawasaki Z800E a big bike with the official restricter kits. According to Farrell “The firm is the first to exploit fully the rule that says A2 bikes can be restricted to 47 bhp provided they don’t make more than twice that to begin with”. He comments that the “manufacturer has cleverly made two versions of its new Z800, one that makes 120 bhp and a second – the Z800E which makes 94 bhp”. It is this second version, originally thought to be a cheaper version of the Z800, which can be restricted and therefore A2 licence compatible. What it also means – which got lost in the “anti-tampering” campaigning that gripped the motorcycle community in the UK over the last year or so – is that after the rider moves on to a full A licence, the bike can be de-restricted from 35kW to 70kW or from 47 bhp to 94 bhp – and more importantly, the rider won’t have to go out and buy a new more powerful version. As a Kawasaki salesman told us – it’s just a simple dealership job. For those of you who have followed the Brew Ha Ha of the “Type Approval Proposal” and the progress over the last 3 years to its entry into the statutes as a Regulation, you will have heard the claims that these bikes will have anti-tampering measures which amongst other things mean that the rider will not be able to change handlebars or air filters and so forth. That’s a great way to put the fear into people, but the truth is that any “anti-tampering” measure will have to take into consideration the fact that these bikes can be de-restricted, which simply means that the only part of the bike that would need to be restricted would be in the engine management system (to keep the kilowatts at 35). There are options that the Commission will need to consider: we suggested a simple indestructible label on the bike with information to read the owner’s manual and within that manual, a clear statement: “Do not tamper”. 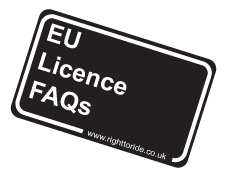 Whatever choice the Commission makes, it will have to be cost effective for the manufacturers so that when the rider moves up to a full licence, the “simple dealership job” will be just that. It is worth noting that these measures are expected to come into force in 2016, even though manufacturers are introducing the A2 category now in time for the change in licencing in January. We commented “However, the difference between the L3e-A2 (medium performance motorcycle) and the L3e-A3 (high performance motorcycle) appears to be in the management system relating to the kilowatts, so for example, Kawasaki has already announced the introduction in 2013 of their brand new Z800E. The bike is “Available either as a 70kw machine (94 bhp) or fully compliant with A2 licence regulation in its 35kw form (47 bhp)”. Just to make a point regarding the capability of manufacturers to prevent bikes from being modified illegally or in such a way as to change the power or system of the bike, the Kawasaki Communications Manager Martin Lambert, told MCN’s Steve Farrell that although the Z800E (94 bhp) has the same overall image as the Z800 (120 bhp) “The way the exhausts connect to the headers, and the pins on the ECU are different on the two bikes, so you cannot turn a Z800E into a Z800”. In the meantime, the MCN article reports that other manufacturers including Honda, Yamaha, Suzuki and KTM, were all showcasing the new A2 version bikes at the 2012 NEC Motorcycle show. The comments suggest that because of the lower cost of these bikes, there has been far more attention and the manufacturers predict higher sales of this category of bike. For the full article, read “The Real Reason For Two New Z800s” page 10, Motorcycle News, Wednesday November 28th, 2012. The chart below sets out the categories. Important to note that there is no obligation to progress from for example, A2 to the full A licence. In other words, if the rider wants to remain on any of the categories, he or she can do so and there is no mandatory requirement to take a test to gain a licence for a bigger bike. 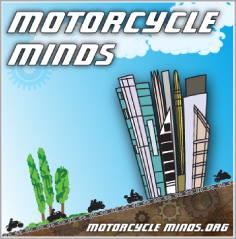 What are the new moped and motorcycle categories? 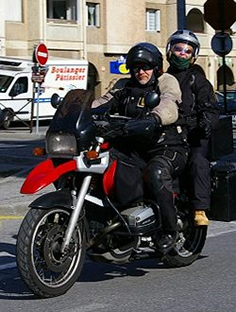 John, your comments regarding mopeds are spot on, I know many traffic police officers who would agree with you that they are dangerous not only to the youngster riding them, but to other road users. In fact I suggested to the Commission representative, that the best way to stop people from tampering with mopeds, was to increase the speed from 45 kph to 60 kph. That way, the rider would have a better chance of getting out of harm’s way. Interesting to note that in cities like Rome where there is a significant number of mopeds – loads of them are “de-restricted” or tampered with by the owners (not just young people) for that very reason. With regards to the issue of age and motorcycling – I don’t really know where you have picked up about changing the licencing age to 18. If you look at the Third Driving Licence Directive which comes into force in January 2013, you will see that there is no mention of “18” as a starting point for getting a licence. As much as I dislike the European Union for a variety of reasons, not least because I really believe that Brussels is a gravy train and needs harnessing. I also know from my own experience that fraud is rife within some of the bodies that operate in Brussels. However, setting legislation for speed, insurance costs and fuel simply does not fall within the European Union’s powers, these are all determined within member states and ultimately by the private sector. Equally the European Union is not responsible for the cost of “machines”, which is ultimately the responsibility of the manufacturers. Whether measuring internal combustible engines in Kilowatts is a good or bad thing is not what the article aimed to point out. You could equally measure these “machines” using brake horse power. If you consider the new A2, this category of motorcycle offers riders the opportunity of getting access to a comparatively “cheaper” versions of a full powered bike but with half the bhp (albeit with the opportunity of de-restricting thus doubling the bhp (and Kilowatts) once the rider has an A licence). So apart from your first comment on mopeds which I thought was valid, you lost me on the rest – sorry…. I feel that the whole process of motorcycles & motorcycling has been tampered with far to many times & this has had an adverse effect on motorcycling generally increasing costs & complicating what should be a simple process of getting a licence. Any vehicle that is like modern mopeds that cannot do 40/45 mph out on the road are a danger to the rider & other road users, through the congestion & frustration that other road users often feel when held up in traffic & if the rider of the said vehicle rides in assertive way rather than in the gutter they risk injury or an incident through the rest of the traffic flow having to overtake them! If they really cared about our young they would be able to use bus lanes on mopeds anywhere in the UK to avoid accidents in congested urban areas! In 1972 they changed the School Leaving age & this affected the Licensing law re motorcycles & mopeds, now they are proposing to make the school leaving age up to 18 years old therefore the laws will changed either before this happens or after it. What annoys me is that you could potentially die in the armed forces @18 & yet so many restrictions are placed on the young in my view retarding them & removing the experiences you need to grow up. By the time they realise what life can offer its often too late, drugs have often wrecked havoc. The EU should put their energy into the real issues in life re the Economy creating jobs & alleviating the debt crises especially those on a personal level, instead of interfering in peoples lives @ every level, anyway, with idiotic, badly thought out traffic speed controls, encroaching legislation, rising insurance costs & fuel, the ludicrous price of machines the whole arena without any revision of policies will become as “dead as the Dodo” as Authorities continue to exert power & control over us at their will. Measuring IC engines in Kws is a complete nonsense too, its just getting the next generation ready to ride or drive electrically powered egg-cartons & lightweight plastic-fabricated two-wheelers, incapable of delivering more than the most basic thrill. Personal choice & freedoms are fast becoming a thing of the past…sadly…if we don’t do something soon we all better get used to it, getting out of the EU would probably be a good move to reduce bureaucracy.